Figure 1. 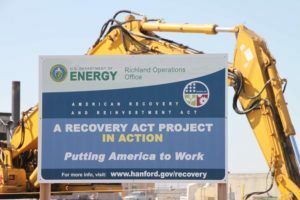 The American Recover and Reinvestment Act is an example of fiscal policy that added more than 8 hundred billion dollars to the United States economy. This stimulus package was split between government spending and tax cuts. In this section, you’ll learn about how and why there are varying recommendations from economists regarding fiscal policy. As you know, neoclassical economists emphasize less government intervention with the assumption that the economy will return to full employment in the long run. Keynesian economists recommend more intervention, and in this section you’ll learn about some of the specific arguments for both sides.